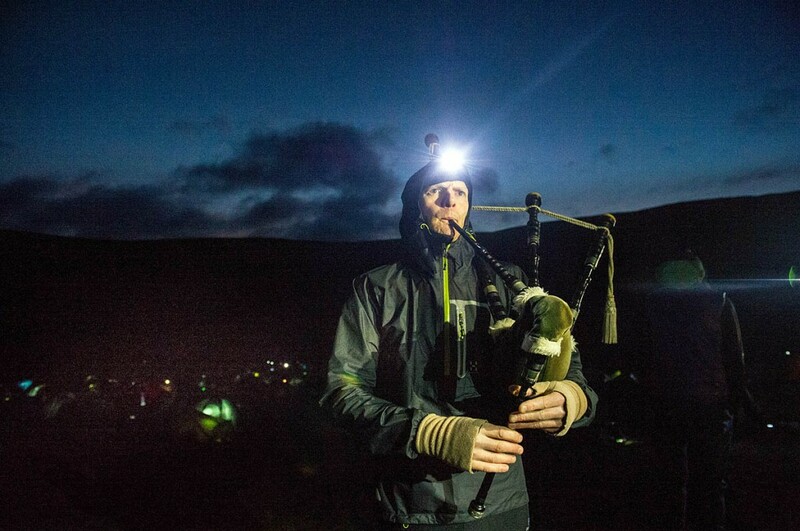 A thunderstorm greeted competitors at the start of the Original Mountain Marathon in the Scottish Borders. 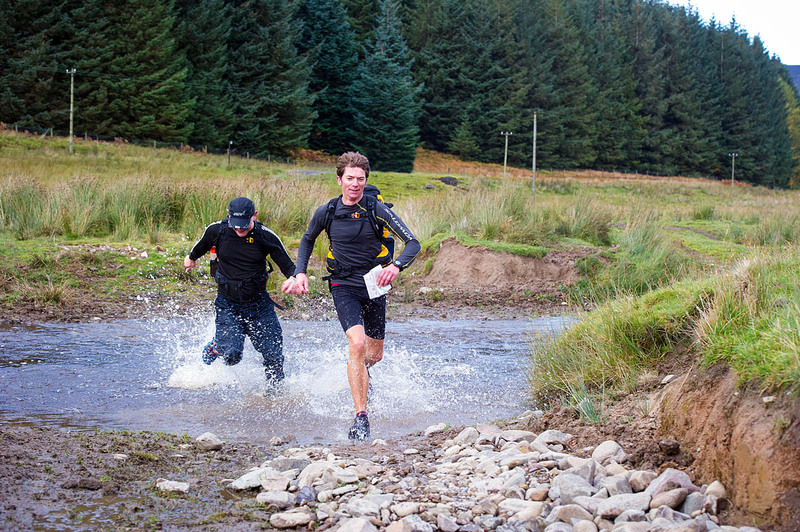 More than 1,500 entrants took on the challenges of the hills of the Scottish Borders for the 48th running of the event. Ultrarunning specialists Kim Collison and Adam Perry took the honours in the elite class to win the marathon, run over two days at the weekend with an overnight camp at Manor Head. The weather cleared for the second day of the marathon, with Collison and Perry building on their overnight lead of seven minutes over Nicolas Barber and Jim Mann. An OMM spokesperson described the event at the start of the competition as ‘electric’. “The arrival of the thundering rain in the early hours of Saturday morning signified it was time for the OMM to begin,” the spokesperson said. 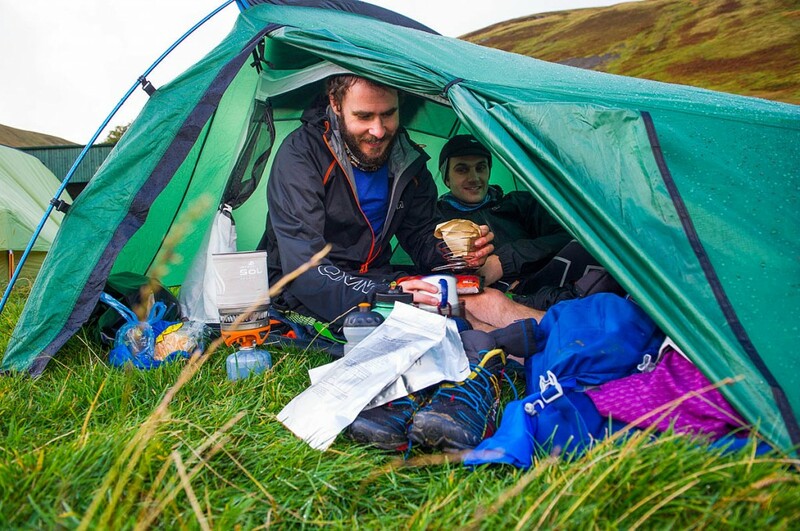 “With the 800m Broadlaw summit standing directly in front of them, competitors collected their maps and scattered into the hills following their chosen routes. “The location of the overnight camp at Manor Head was one of the best yet, completely enclosed by 600m peaks and giving a real sense of solitude. Course planner Mike Stuart said it was ‘one of the best overnight camp locations for a long time’. “As competing pairs squeezed into the smallest tents they could carry, the weather cleared to leave a crisp enough evening to see remaining runners dotted amongst the hillside. A calm atmosphere descended over the camp as teams recovered from a tough first day – an outstanding performance to make it to the overnight camp. “Notable mentions include Kim Collison and Adam Perry leading the elite class by seven minutes over Nicolas Barber and Jim Mann; also, David Bufton and George Chilcott leading a tough C course. The spokesperson said the event continued as maps were collected at the start line and competitors headed off into 400 sq km of course area. “Day two brought with it blue skies and made for an ideal day to be in the Scottish hills. “With so many outstanding performances across the whole field, from Kim Collison and Adam Perry winning the elite class to welcoming 19 new members of the exclusive 20-year OMM club and five new members of the 30-year OMM club, this year’s is one to remember. Next year the OMM will be heading south and entries are open now on the OMM website.